This Interests Icon set features in total 50 icons in line & glyph style. 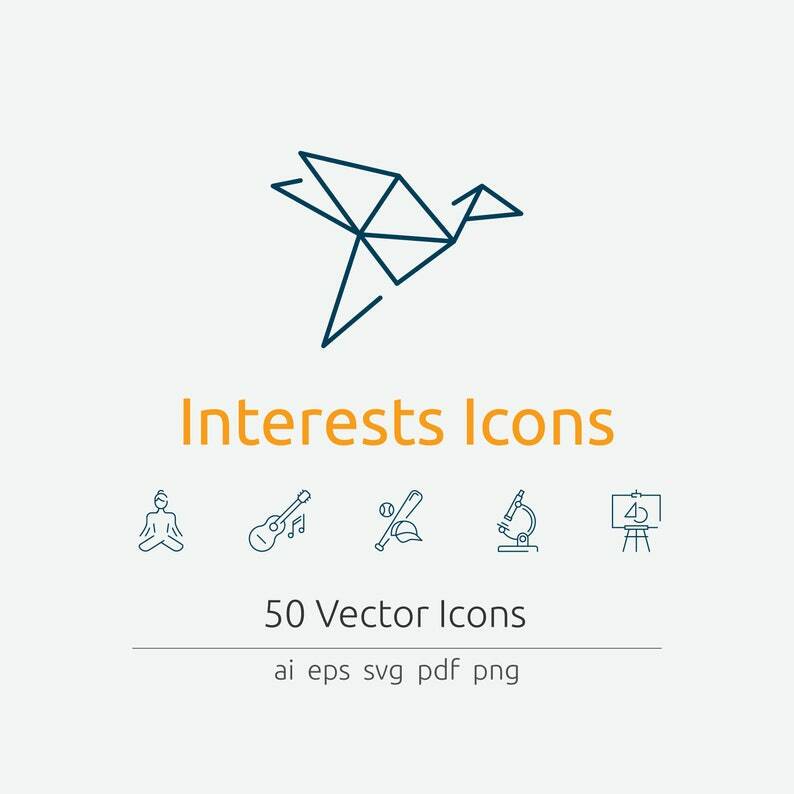 They come in AI, EPS, SVG, PDF, and PNG format. You can modify, colorize, change stroke thickness with Adobe Illustrator CC. You can easily insert these icons in a Microsoft Word/Excel Document or add it to your design in Adobe Photoshop CC and more. You are permitted to use my resources in any number of personal and commercial projects for yourself or a client you are working for. You may modify the resources according to your requirements and include them in works such as websites, applications, printed materials, and others.